Veterans Party of America | GUEST POST: Let’s talk about term limits. Congressional term limits is a hot topic these days and on the minds of many in the nation. The people are concerned that power in the hands of so few, for so long, leads to corruption, or something to that effect. How about the vision of the Founding Fathers of our nation though? They envisioned citizen legislators, doing their duty, serving their nation then going home to reap the benefits or suffer the consequences of their actions. That is not what has been happening for quite some time, instead the “citizen legislators” end up making a career of it, and getting very wealthy in the process. So, if you’re in favor, how can we bring about term limits in the first place? Congress makes the laws, so they would have to impose said term limits on themselves, and how often does the subject even get broached in either the House or Senate? Almost never. Why would they deprive themselves of those six-figure salaries and seven-figure benefits? Sadly, if the two-party system persists, it’s highly unlikely that such a thing will happen. The possibility of third-party candidates getting into Congress to push such an agenda is not impossible, but it is difficult due to the two-party stranglehold on the political process, voter apathy and ballot access hurdles put in place at the state level across the nation. However, it is the most likely recipe for success due to the other avenues available, and the extreme difficulties they present. Convention of States* is one way many believe is the best way to effect this change. However, if a CoS is achieved, let’s keep a couple things in mind. The convention will most likely be run by the same two parties that have been failing the nation for decades already, and substantial, positive changes are highly unlikely in that scenario. Let’s also not forget that term limits are not the most important issue to everyone calling for a CoS, so it would most likely be akin to getting everyone to agree on toppings for a pizza, and I think we all know how challenging that can be at times. Let’s say you’re on the other side of the issue and don’t think term limits are necessary. Personally, I’ve heard the argument that we already have term limits, they’re called elections. If this is a viable defense, then why are there term limits on the POTUS? If it’s a matter of too much power in the hands of one man for too long, the same could be said of every member of Congress, who has approximately a 10% approval rate and 90% re-election rate, with numbers like that, I don’t think the argument that elections are effective to term limiting. ~*A convention of states is a convention called by the state legislatures for proposing amendments to the Constitution. They are given power to do this under Article V of the Constitution. It is not a constitutional convention. It cannot throw out the Constitution because its authority is derived from the Constitution. *Guest blogs do not necessarily reflect the beliefs, values, and core platform planks of the Veterans Party of America. Raised in Beaumont and Houston Texas, parents divorced at the age of six. Got in plenty of trouble growing up, but nothing too serious, kicked out of school in the 9th grade was the worst. Worked construction jobs in Houston for the next 2 1/2 years, mainly as a frame carpenter. Joined the U.S. Army in 1982 three months prior to my 18th birthday after having to obtain a GED, having tested at a college freshman level. 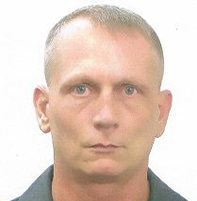 Spent 20 years on active duty in various radio communications capacities, mainly stationed at Ft. Bragg, N.C. and in Germany, but having deployed to several other global locations. Retired from active duty in early 2002 from USAJFKSWCS at Ft. Bragg. The war in Iraq broke out in 2003 and was offered a contract job there, which began a series of jobs in both Iraq and Afghanistan spanning nearly a decade. Currently living in Thailand, trying my best to help save the country of my birth, that I still love dearly, from itself, from afar. Pretty cool report, let’s get rid of a few of them fast. Like this year this way Society does not have to provide life time insurance, medical and pensions. I think it’s 3 terms for a Congressman. If you think about it asking for for term limits. unnecessary if we as voters did our jobs. Someone be in to long ? Vote them out. Not doing what you ask? Vote them out. Asking for Time limits is just a lazy way to do our job. Agreed, Rod – one of the most depressing thing I saw last big election – was the number of people who wanted term limits – who wanted change (and not the Obama kind) – and yet when “we” went to the polls – all the incumbents were voted back in. Why is that? The general answer is that, as humans we are afraid of change. We need to come up with a way – of pointing this out to people – that they are nodding their heads – but shaking their hands in the voting booths. I do believe I covered that aspect already, and it doesn’t seem to be working, especially if you consider the incumbent re-election rate as opposed to the Congressional approval ratings. As to term limits: When one has all the same people, one has all the same ideas. What this country needs, is new ideas, for real solutions to our problems. If you have solutions, PLEASE run for office! We all need you! Glad you enjoyed it, please continue to question not only this, but all things pertaining to government. Thank you, we currently are making updates to the website, our tech team is limited, please be a bit patient. matter, and was especially stoked when I actually find sites which might be well-written and well-researched. Thank you Bernice, I’m glad you enjoyed my blog on this topic. 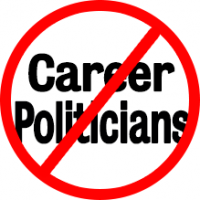 The reason “Citizen Legislators” doesn’t work, is because there are not enough people willing to step up and run for Office. This Party thinks they can just throw a completely unknown person on a Presidential ballot, and expect to get results. If those in this Party are serious about making change, start by running for State or local level seats. See if you can even win locally, before thinking you are fit to be POTUS. Run for unopposed seats. There are a good number of seats that go unopposed each Election cycle. That’s why some have been in Office for so long. Error: Error validating access token: Session has expired on Saturday, 23-Mar-19 14:22:57 PDT. The current time is Saturday, 20-Apr-19 16:56:39 PDT.